THE THREE WEEKENDS BETWEEN SEPTEMBER 8TH AND SEPTEMBER 23RD 2018 AT 9AM EACH DAY OF THE WEEKEND. The Learn To Row commences in September 2018. If you are interested in joining as a Novice Rower (1st season rower) please keep an eye on this page for final details. If you find yourself on this page after the last Learn to Row session, please contact us directly. If you are athletic, are a team player, competitive and not afraid of physically pushing yourself, can do a deep knee squat, lift your hands over your head and pass a simple test, you can row! Is the Learn To Row programme restricted to rowers? No, if you think you would like to try coxing then come and have go. The Learn To Row programme is over 6 weeks designed to see if this is the sport for you. You do not have to have any prior rowing experience to row - ideally you should be at least 14 years old or turning 14 in this calendar year. Training Period: 8 September - 23 September. Starting at 9am on each day of the weekend. Our coaches will give the training needed to learn proper boat handling, increasing fitness through land conditioning work and learning the basics of rowing. Participants who commit to the programme and complete it become well versed in all facets of sweep rowing including safety, technique, training and competition. For training sessions wear lightweight sports gear, plenty of sunscreen and bring a heavy pair of socks. If the weather is looking chilly at all, a poly prop/thermals and a lightweight jacket might be worth bringing. Once you have completed the course and you still want to row you will then enter the rowing season as a Novice Rower. You will train 4 days a week throughout the season with a small break over Christmas period. Over the season you will be exposed to different boat configurations and row a number of regattas. Rowing is a team sport that requires a high degree of fitness. To achieve this requires dedication and commitment to the training regime. 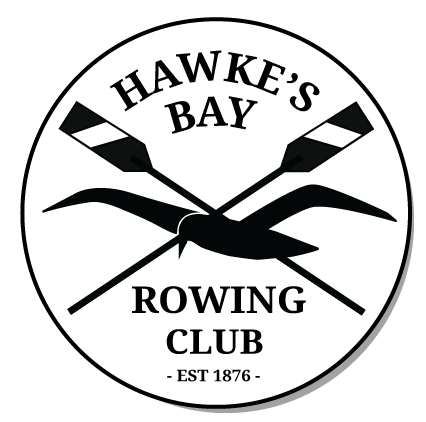 The Club enters the Novice rowers in a number of regattas in the central North Island region including the Club's annual regatta at the start of the new year. The Club manages the teams at the regattas, organising bus transport to and from the venues, provision of meals and supervision. For some of the venues the Novice Rowers will be required to camp. Parental involvement is encouraged to help out with the meals for the away regattas.